Move In / Move Out Cleaning Service! Our move in/move out cleaning service is perfect for tenants and landlords alike. We’ve helped countless Cook and Will County landlords get their apartment, house or condo rental ready. On the other side of things, we’ve helped countless tenants get their deposit back without the stress of trying to squeeze in cleaning! Landlords and property managers have to worry about just trying to their vacancy filled! Why spend time cleaning? Renters and tenants have just as much to worry about they are trying to move family, pets, and kids into a new home. And try to get a security deposit back too! In either situation, money and time are on the line. Let Top Tier House Cleaning of Joliet help! What Does A Move In / Move Out Cleaning Include? All The Nooks and Crannies Even if your space was cleaned regularly there are some areas that just build up dirt, debris, gunk and goop. You don’t see any of it day to day when your furniture and appliance are all in their proper place. But clear the space and the fact becomes clear: you have some cleaning to do! We specialize in nooks and crannies and often our service is much less than the security deposit. That means you can consider our service an investment! Carpet cleaning (You really need special equipment for this job). Not Sure What Services You Need? Check Out Our Move Out Checklist! Sometimes looking at your newly emptied house can be overwhelming. 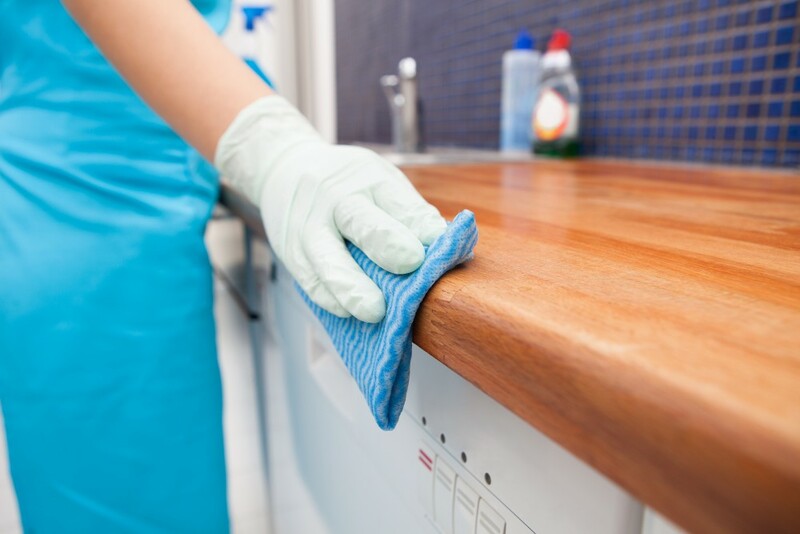 You likely plan on cleaning up some but need our cleaning service to take up a notch and make sure you get that deposit. So here’s a list of easy to forget tasks that should be done before you turn in your key. We recommend split the list up between what you will handle yourself and what you will ask Top Tier House Cleaning to handle. Putty any holes in the wall from nails, screws or other mishaps. Dusty ceiling fans and fixtures. Keep an eye out for dust on ledges, mantles and on top of cabinets. Clean all windows (interior only, exterior cleaning is whole different ball game). Clean doorknobs, light switches and outlets. These all get dirtier than you think! Clean walls and baseboard. Not an easy task! Look for cobwebs in the corners! These will really stand out in an empty house. Check all vents, dust can quickly accumulate here. Take care of the soap scum. Time is your friend here as you will need to leave on some cleaning product to make the job easier. Make sure to get all the drawers and cabinets in here- there are usually quite a few. The toilet is a big one and if you’ve been in the space for a while you may be best off replacing the toilet seat. When in doubt, throw it out! Cabinets and drawers will take a lot of time, be ready. Don’t forget the face of all drawers and cabinets, especially where the handles are. Get all sides of the fridge: inside and outside included! Use the oven self-cleaner and then follow up with your own cleaning. Remove any debris from the dishwasher, food can easily pile up near the drain. Most of the time a good sweeping (or use a leaf blower) is enough. And if all this seems a little daunting…give Top Tier House Cleaning a call! We’re here to help!